Are you looking to find the best houses for sale in Crosby? Well you've come to the right place. Here on this page, you will find all the property for sale Crosby has got to offer from your local experts Black Grace Cowley. In the heat of the action, found on the TT course, Crosby homes are highly sought after due to the prime location, situated on the road from the Island's capital Douglas to the Manx resident's favourite place to grab a beer, Peel. With a small population of just 900 and a close knit community to match, Black Grace Cowley has an attractive offering of property for sale in Crosby that could be perfect for you and your requirements. Just a short distance from the picturesque sea-side town of Peel, living in Crosby has got its advantages. Located in the middle of the parish of Marown, the area has the perfect local primary school and offers a well-respected secondary school down the road in Peel. Nearby attractions vary from the popular shopping spot Tynwald Mills where you can enjoy a cup of tea and a piece of cake, to the infamous Crosby pub, known for its amazing Sunday roasts. Whether you are looking for property for sale in Crosby for investment reasons or houses for sale, Crosby is a great place to buy in the Isle of Man. What's great about living on an Island is that even though Crosby is in the middle, you are never too far away from the sea. 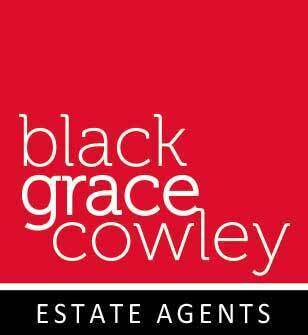 Choosing Black Grace Cowley should be your first step to help you find the best Crosby property for you. We will take into consideration exactly what you want, listen to your preferences and suggest the perfect options best suited to you. It's not our style to push you in a direction that doesn't appeal to you, so if you are looking for houses for sale in Crosby, then that is what we will help you find. All we need to know is your budget and we can get you in front of the best Crosby homes that are available to us. If this sounds ideal to you, give us a call today and see if we can help you find the perfect Crosby property for you.